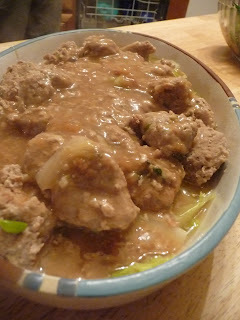 Lion’s head is a dish from eastern China, consisting of large pork meatballs stewed with vegetables–usually cabbage, but it can also be made with bok choy or other greens. The name comes from the shape of the meatball which is supposed to resemble the head of the lion and the cabbage (or other vegetables), which is supposed to resemble the lion’s mane. Let’s get started with the meatballs. 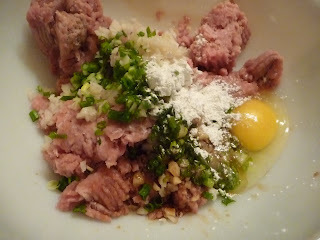 Mix together the pork, egg, cornstarch, scallion, ginger, water chestnuts, sherry, soy sauce and pepper. We were making several dishes for a crowd, so we made “lion cub heads”, but typically these meatballs are large. Perhaps 4-6 total per 1 lb. of meat. 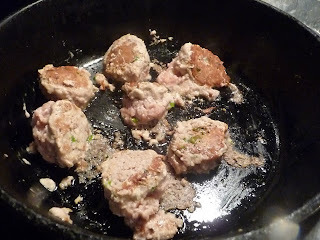 Dredge the meatballs in a cornstarch paste–1 Tbsp cornstarch to 3 Tbsp water. 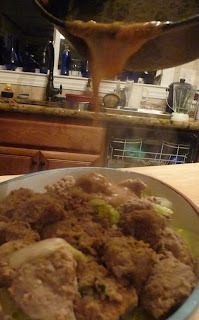 When the meatballs are browned, add 1 cup of chicken stock, 1 Tbsp soy sauce and 1/2 tsp sugar. 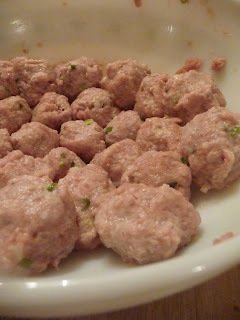 Bring to a boil, lower heat and simmer until the meatballs are cooked through, about 20 minutes. 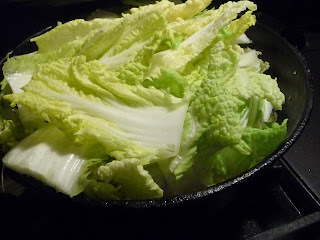 Add the cabbage on top, cover the pot and continue to cook until the cabbage is cooked, about 10 minutes. 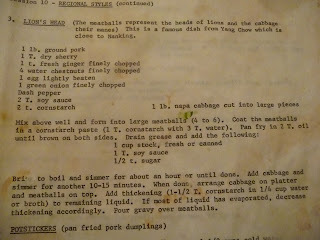 The cabbage should be wilted, but not soggy. Remove the cabbage first and arrange it on a platter. Place the meatballs on top. 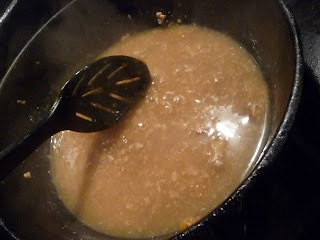 Mix together 1-1/2 Tbsp cornstarch and 1/4 cup broth. Add it to the remaining cooking liquid. Cook until the gravy has thickened. Season with soy or salt and pepper, if needed. 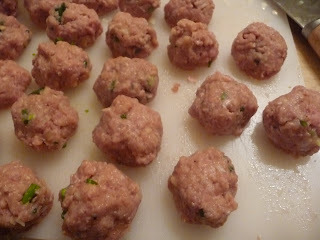 Mix meatball ingredients well and form into large meatballs--4 to 6 total. 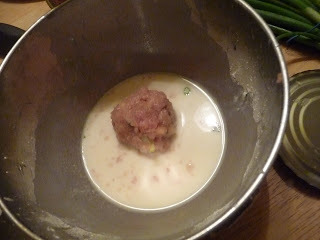 Coat the meatballs in the cornstarch paste. 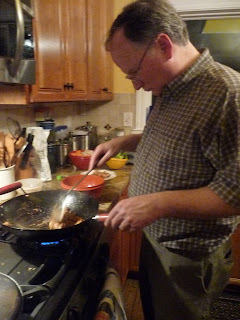 Pan fry in 2 Tbsp peanut or vegetable oil until brown on all sides. Drain grease and add gravy ingredients. Bring to a boil, lower heat and simmer for 20 minutes or until done. 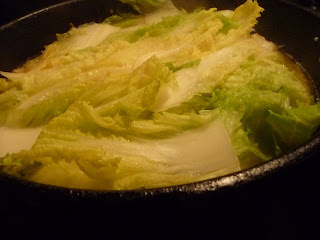 Add cabbage to the top, cover and continue to simmer another 10-15 minutes or until cabbage is cooked. 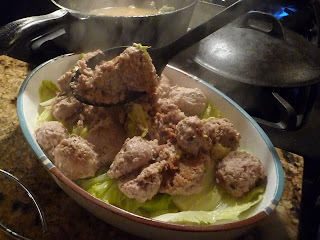 When cabbage is cooked, arrange on the bottom of a platter and spoon the meatballs on top. 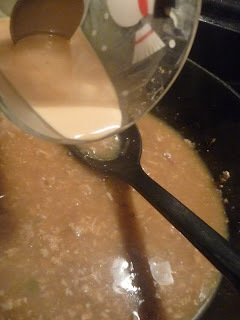 Add slurry (1-1/2 Tbsp cornstarch and 1/4 cup broth, mixed together) to the cooking liquid and boil, stirring, until gravy is thickened. Season to taste with soy and/or salt and pepper. Pour the gravy over the meatballs and serve.